When it comes right down to it, Kira Mudd’s new job will involve having a lot of conversations. As the new director for alumni relations and annual giving in the University of Houston-Victoria Office of University Advancement, Mudd will lead UHV’s alumni engagement efforts. She plans on talking with alumni about their lives, experiences and alma mater. She earned a Bachelor of Business Administration from Texas A&M University in 2006 and is pursuing a master’s degree in adult and higher education from UHV. 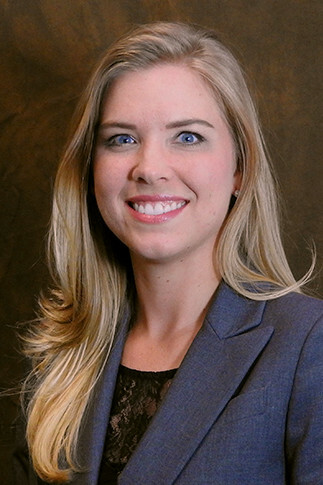 Mudd previously worked as an assistant recruiter for the UHV School of Arts & Sciences. She then spent six years as a recruiter for Regency Post Acute Healthcare System. During that time, she recruited several UHV business and nursing graduates to the company. Mudd returned to working in higher education in January as UHV’s career services coordinator, where she coached students and alumni in areas of career and professional development. Mudd said the aspect of the job she’s most looking forward to is making connections. She plans to reach out to alumni through a variety of channels. She also intends to re-activate the alumni association and make it easier for alumni to share what is going on in their lives. Making these connections not only helps UHV learn about and share stories of alumni successes, it also leads to alumni connecting with each other through the alumni association, social media and events, Mudd said. Having an engaged alumni base is critical to UHV’s goal of reaching 6,000 students in Victoria by 2025, she said. “Alumni relations and annual giving are connected because the more engaged alumni are, the more likely they are to give back to the university – whether it’s through time or donations,” Mudd said. Small annual gifts can add up fast, especially if many people donate, Mudd said. Pisors said he’s pleased Mudd has joined the UHV team of advancement professionals. She can be reached at muddke@uhv.edu or 361-570-4869.